The Department of Homeland Security put a notice in the wonky Federal Register that caught widespread attention this week: It plans to keep files on the social media activity of immigrants. That touched off concern among immigrant rights groups that this was a new level of surveillance and an intrusion in their lives. But Homeland Security officials say this is nothing new. 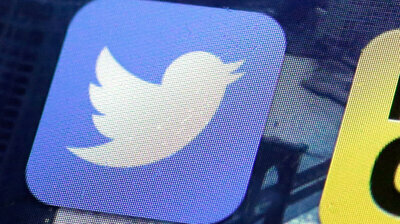 In fact, the agency says, it has been collecting social media information on immigrants for years. Talbot pointed to a policy adopted in 2012. U.S. Citizenship and Immigration Services, the branch of DHS that handles immigration applications, has files on foreigners applying for travel visas and for citizenship. That includes lawful permanent residents, or green card holders. DHS says it is not collecting new social media data on naturalized U.S. citizens, though that information may still be in their file from when they applied for citizenship. The Federal Register notice is “an effort to be transparent,” Talbot said, about information on social media accounts that USCIS is already collecting from immigrants. “This amendment does not represent a new policy,” Talbot said. Still, immigrants across the country are alarmed about what the government plans to do with the information they post on social media. “The public has known for some time about DHS using social media monitoring as a form of surveillance of immigrants,” says Adam Schwartz at the Electronic Frontier Foundation, a nonprofit digital rights group based in San Francisco. This Federal Register notice doesn’t suggest any new ways of collecting social media information, Schwartz says. But he says it does suggest that DHS plans to share immigration files — even files on people who have become lawful permanent residents or naturalized citizens — across agencies inside DHS. And Schwartz finds that alarming. The department includes Immigration and Customs Enforcement, the Border Patrol and the Transportation Security Administration. “Many immigrants will be chilled and deterred from participating in speech and social media because they fear that the government is going to misunderstand what they’re saying,” Schwartz said. DHS has been under more pressure to collect social media information about immigrants and other foreign visitors to the U.S. since the 2015 terrorist attack in San Bernardino, Calif. One of the attackers, Tashfeen Malik, had advocated for violent jihad on social media, although her comments were only visible to a small group of friends. The Inspector General of DHS published a report in February about the department’s efforts to screen social media. The report found those screening programs “lack criteria for measuring performance to ensure they meet their objectives,” making it impossible to gauge how well they’re working. Prepare For The Crisis Ahead: Every Bank Needs A Plan For Social Media Bali volcano update: Where could the volcanic ash cloud go? Will it reach Australia?